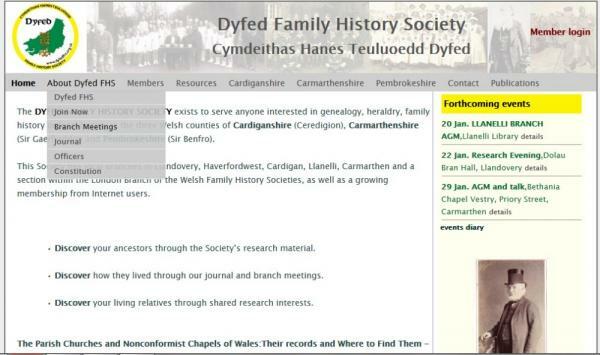 A new site for this long-established Family History Society, which exists to serve anyone interested in genealogy, heraldry, family history or local history in the three Welsh counties of Cardiganshire (Ceredigion), Carmarthenshire (Sir Gaerfyrddin) and Pembrokeshire (Sir Benfro). 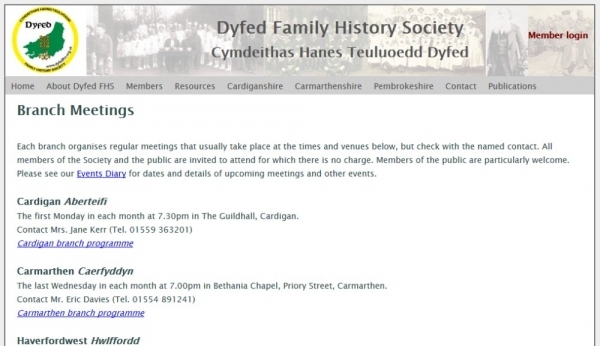 This Society has local Branches in Llandovery, Haverfordwest, Cardigan, Llanelli, Carmarthen and a section within the London Branch of the Welsh Family History Societies, as well as a growing membership from Internet users. 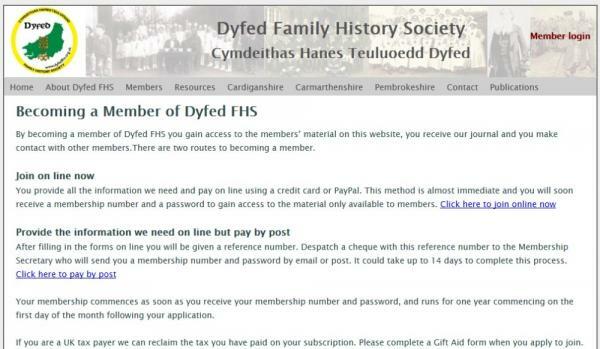 Technical features: The site incorporates a secure online membership administration system and facilities for members to join and pay subscriptions online and update their own details. 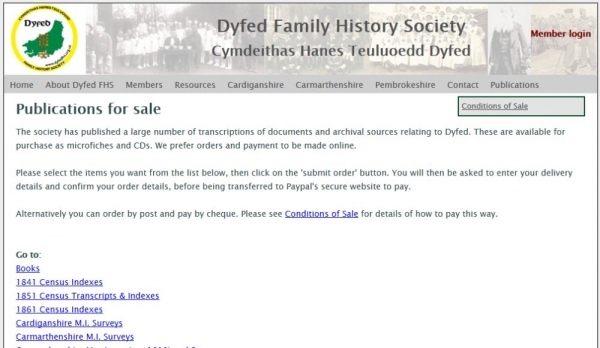 Also includes an online shop. 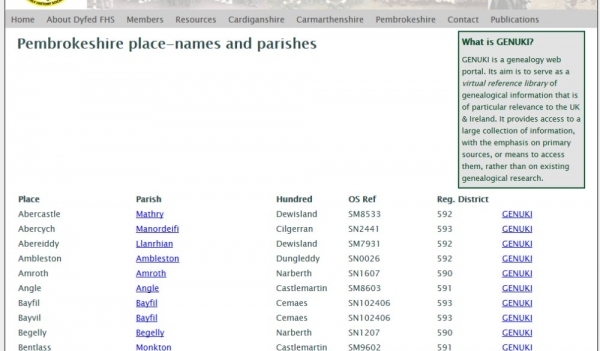 Development partners: Website designed and built by Technoleg Taliesin Cyf.